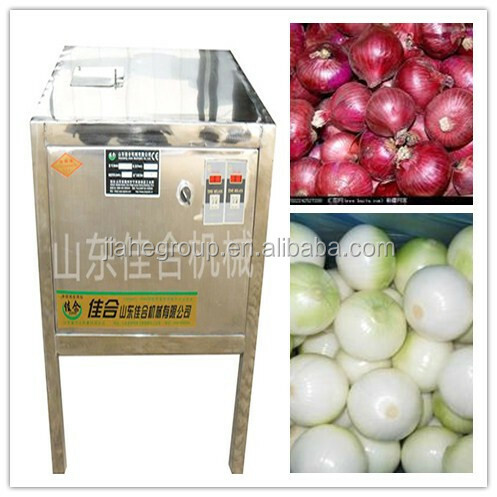 Buy Jiahe brand onion peeling peeler machine - Jinan Joysun Machinery Co., Ltd.
1.The shape is novel and attractive,Structure is simple,Operation is safe,reliable and stable. 2.Working noise is low,and with high efficiency. 4.Low breakage,hygiene status is good,no pollution,low malfunction rate,high efficiency. Inner packing:in plastic film,Outer packing:by plywood case. 1.Before dispatching the machine, we will test and adjust, so you can use directly when you get it. 2.Any problem occurs while using, professional advice will be given by us timely. 3.Operating instruction mannuel will be sent to the clients to help them use the machines better. Answer:Generally speaking,we pack the machines withou disassembled.So the customers can use this machines directly when they received them.It is easy to operate,what you need to do is just connest the machine with power supply ,then turn on the switch. we getting the payment,if no machine needed in stock,the delivery time:within 14 days after receiving the payment. Shandong Jiahe Machinery Co.,Ltd. is one of the professional food machinery suppliers in China.All of our food machines have certificates of CE and ISO.With more than 10 years food machine production and sales experience,we can help you better.